I’ve been walking daily since I was a little girl. I have my father to thank for that. I relished our evening walks together from my adolescent through teenage years. We’d set out, just the two of us, every evening after dinner, walking, sometimes talking, always observing the world around us. When we’d return, we were ready to tackle the dinner dishes and I was ready to tackle my homework. Walking is a gift. It is something most of us can do for free. Walking doesn’t require any unusual talents. We don’t have to buy any special clothing (although a comfortable pair of walking shoes is recommended). Most of us can simply head out the door of our home or office and just walk. Walking is nature’s cure-all. No matter how I feel when I set out on a walk, I always feel better by the end. If I’m tired when I start my walk, I’m rejuvenated when I finish. 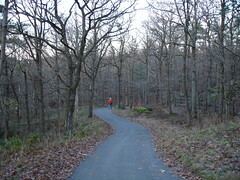 If I’m feeling overwhelmed with work or personal issues when I begin a walk, I am clear-headed and focused by the end. And, of course, the long-term physical benefits of moderate-impact aerobic activities like walking are well-known. As an adult, no matter where I’ve lived – city or suburban setting, no matter the climate, I’ve always kept up my walking ritual. A daily walk, even a short one, is a must for me. I’m not one to listen to music or the news while I walk. I focus on my stride (to create a sort of natural rhythm). And I focus on my surroundings, trying to notice things that I’d miss if I were driving the same route. I walk best alone. (Sorry, Dad.) Friends regularly invite me to join in their walking rituals, but I usually decline their offers. The benefits I derive from walking come when I’m able to think and observe in silence. The simple act of a daily walk allows me to solve problems. I can’t tell you how many times I’ve begun a walk thinking I had a big problem to sort through, only to determine, 10 minutes in, that I’d been blowing the issue way out of proportion. And, best of all, I regularly experience creative breakthroughs when I walk. These breakthroughs happen when I’m not even trying. The act of walking and focusing on my stride clears my head. Ideas flow naturally. Dots connect themselves. Walk. Look. Create. It’s really that simple. It is said that, in his Fifth Symphony, Beethoven told his story in the first four notes. In an NPR interview upon the release of his book, The First Four Notes: Beethoven’s Fifth and the Human Imagination, author Matthew Guerrieri shared several theories. “The most common story that is told is that Beethoven allegedly said that the opening of the symphony was supposedly symbolizing fate knocking at the door.” Listen to the full interview here. Short stories. Long stories. True stories. Fictional stories. Old stories. New stories. New twists on old stories. Stories of what could be. The list is endless. And, of course, there are many ways to tell a story. Verbally. Visually. In-print. Online. Over-the-air. In film. On canvas. Musically. Or in never-ending combinations of any of the above. Johann Sebastian Bach was another great musical storyteller. “From the first chords of his Chaconne, the final movement of the Partita No. 2 in D minor for solo violin, you have a sense that this is going to be a saga, not just a small journey,” remarked Arnold Steinhardt, famed violinist of the former Guarneri String Quartet. Learn more about the Chaconne in this NPR interview with Steinhardt here. 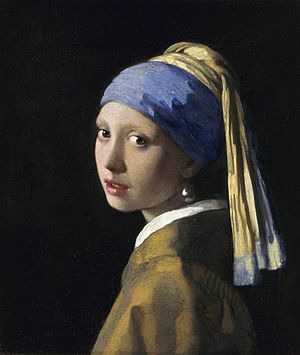 Author Tracy Chevalier presented a TED talk on “Finding the Story Inside the Painting.” In her talk, she shares three stories inspired by portraits, including Vermeer’s Girl With a Pearl Earring that led to her best-selling novel of the same name. Listen to her talk here. Of course, few of us can compete with the likes of Beethoven, Bach or Chevalier. But we can look for inspiration all around us. And, we can practice storytelling. Yes, practice. There’s that word again. Pick up a book or a magazine. Without thinking, open the cover and randomly choose one image. Next, start to concoct a story based on the image. If the photo is one of an animal, give him a name. Make up his life story. Define what makes him different from all the others of his species. Make it all up. And remember, it doesn’t have to make perfect sense – you’re just practicing (and, probably, even having fun). Try this exercise in different settings. Take it outdoors and see what happens. Try it with a friend or your significant other. Better yet, try it with one of your children. Or, turn on the radio and randomly listen to a song or piece of music. Create a story based on what you’ve just heard. Then, try taking your practice into your business. Practice telling the true story of why you started your business. Tell the story of how you came up with one of your best-selling products. Tell stories of how you helped some of your key clients succeed. You can tell these stories in person. You can tell these stories on your website or via other media. The main thing is to share them. With regular practice, you’ll discover talents you didn’t know you had. Chances are, you’ll become more observant and a better listener. And, just think how easy it could be if you regarded public presentations as “just telling a story.” You’ll be more effective, more engaging and more memorable. Storytelling can be a valuable tool online and off. All it takes is a little practice.